How can I control my assets after death? 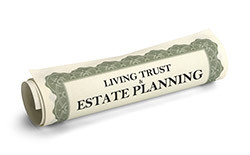 The practice of estate planning is dedicated to preserving an individual’s control over his or her assets after death. A simple will can control which individuals receive what assets, but a more thorough plan has the potential to do much more. Establishing a trust is the most common method used to exercise this kind of control. A trust can issue a bequest restricted by a condition; for example, a trust might be established to pay out $10,000.00 to a specific grandchild only once he or she has reached 18 years of age. Multiple payments can be made to the beneficiaries as long as the trust is funded. The trust can stipulate that the grandchild may have to graduate from college to receive the money, or even that he or she must graduate from a specific school with a minimum grade-point average or membership in a particular fraternity or sorority. A trust can make the condition of payment as specific or as broad as the creator of the trust wishes. It may, for instance, bequeath benefits to a humanitarian organization on condition that the organization continues to provide food and shelter to the homeless. There is no limit to the number of conditions permissible in a trust document. Even when the conditions go against public policy and general norms and mores established by society, as long as the conditions may be met legally, they will be upheld by the court. In order to create a trust, there must be a capital investment to fund it and a trustee must be named. The trustee is responsible for protecting the assets of the trust, investing them to the best of his or her ability, managing real estate and other long-term assets, interpreting the trust document, communicating regularly with the beneficiaries of the trust and performing all of these actions with a high level of integrity. Trust assets may be used to pay for expenses of managing the trust as well as to provide a stipend for the trustee if so provided for in the trust document. If a trust document is not well written, it may be the target of a lawsuit seeking to dissolve the trust and disburse the assets held therein. Even if the trust is defended successfully, the costs of this challenge may deplete its coffers and frustrate the very reason for its creation. In order to avoid these possible pitfalls, it is imperative that a trust document be drafted by an attorney with a high degree of experience in estate planning law.